SEO in the Philippines is now becoming more challenging these days given that the search engines are considering several factors to determine websites that deserve to be on the top spots of search results. One factor is the authority/influence of a website towards its targeted audience. When the website is always providing value to its users, it becomes easy for the brand to earn natural links/mentions from related blogs and acquire shares from social influencers which can help the brand to become more visible on search results for their target keywords. To learn more about the current state of SEO in the Philippines and things that should be considered to improve a local website’s performance on SERPs, here are four prominent SEO experts in the Philippines to give us their insights/thoughts about those topics. Our today’s guests are: Glen Dimaandal, Benj Arriola, Zaldy Dalisay, Sean Patrick Si and Gary Viray (click their names to jump ahead). 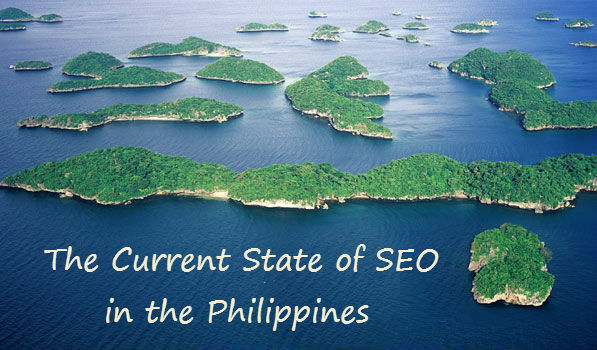 What is the current state of SEO in the Philippines? This is a broad question that can be addressed differently depending on what perspective you’re viewing it from. As a craft, this is probably the best year yet for Philippine SEO. It’s vibrant, anyone can get into it and there are a lot of good people whom you can learn from. Low-level and black hat SEO is less and less viable, which forces everyone in the field to bring their games to a higher level. The job market is still growing and that’s a great thing for people who are looking for a career path with a big upside. It’s still not perfect, of course. You still see a lot of shady, meat-grinding companies in Makati that have little regard for their employees and even less regard for the reputation of Philippine SEO as a whole. But when you compare it to what we had 3-4 years ago, the playing field is much more level and the people who really know what they’re doing are getting more press compared to people who are in the game solely for profit. In SEMCon 2010, Benj Arriola said something that really stuck to me. He stated that the future of SEO is a “battle of creatives.” He was right and the future is now. Why do you think international companies should outsource their SEO work to Filipino internet marketers? Skills aside, a lot of Filipinos are polite, honest and ethical in the way they conduct themselves in business environments. We know the value of hard work and we show it in how we are in the workplace. What kinds of reports do you provide to your local clients in a regular basis? Is there a difference in the content/output contained between local SEO reports and foreign SEO reports? I do custom reporting depending on the needs of my clients. More SEO-savvy clients tend to like more detailed, technical reports. For more business-oriented clients, we prioritize metrics that are more focused on how our work impacts their bottom line. We try to give clients the full array of metrics we have, but some of them don’t really appreciate in-depth reporting. This depends on the clients’ needs and how the engagement was negotiated. When should you upsell and not upsell local SEO to your SEO clients? Local clients tend to have lower budgets and a lower degree of inclination towards online marketing because TV, radio and print still dominate much of the local media landscape. In my experience, we start with smaller engagements that we scale up as the client sees results. It’s easier to sell someone your services when there’s a positive precedent behind it. How do you prove to your clients that SEO is a good marketing investment for their businesses? Do you show proofs? What can you advice to those Filipino SEOs who don’t have any case studies/proofs to show to their first clients? In any presentation geared towards selling a service, I always have visual aids that show hard numbers and charts. Business people are more likely to engage vendors that make them feel smarter about their decisions. If you have metrics on how much demand there is online for their products and how their competitors are taking advantage of search engines, you can help them realize that online marketing is here to stay and it will only get bigger. My advice is to do your homework on the prospect’s business before you start pitching. Find out how much their average lead value is or how much the average purchase is in their online stores. Find out what the margins are and see if you can find out what the average lifetime value of a customer is to them. When you have those numbers, you can calculate how much extra business SEO can potentially generate for them. You’ll also get a good hint of how much you should charge them for your services. Bottom line, your SEO services should come across as something that will pay for itself in the long run, fatten up their bottom lines and deny their competitors new customers in the process. If you’re starting out as a small, private practitioner, having a blog to show is a good thing. Your work experience and the sites that you’ve handled will also be good tools for illustrating past success stories. Getting authoritative people like past bosses and prominent people in the SEO scene to endorse you will also help your case. Granted that search marketing/SEO is a fast-paced industry. How do you make sure that you and your SEO team stay updated with the latest updates in the industry (e.g. Google’s search updates). The easy answer would be to read credible SEO news sites and blogs, but that’s not a guarantee that you’ll always be in Google’s good graces. If the Panda, Penguin and guest posting actions prove anything, it’s the fact that Google’s view of what’s white hat and what’s black hat is a constantly evolving affair. Today’s best practice could be tomorrow’s taboo technique depending on the industry’s behavior and how Google perceives it. Having said that, I believe instinct is a part of practicing good SEO. If a technique feels misleading, unnatural or scalable, it could be at risk in the future. When in doubt, go back to the core principles of what makes a website great: clean code, an intuitive interface, appropriate design schemes and great content. As long as you stick to those, you’ll always be in a competitive position. How do you make your SEO strategy as simple as it can be that even a 5th grader (or a high school student) could easily understand? It comes back to core principles. Ask yourself why you keep visiting Google, Facebook and Wikipedia. The answer is because they provide you with information or functionality that you can’t find anywhere else. As long as a website is easy to use, technically stable and it has something that people will want to keep coming back to, it will have its place in the search results. These principles should guide overall strategy as far as content, design and usability are concerned. 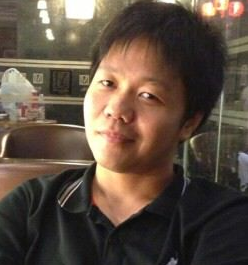 Online marketing rockstar Sammy Nams put it nicely when he sensed that our SEM team was out of whack back in 2012. He asked each one of us “what did you do today that gave the company the best returns on investment? What are you doing right now that takes up too much time without bringing in the money?” Those are very good questions to ask when you’re trying to prioritize tasks in a campaign that you’re trying to execute. What is your best tip for newbies who want to learn and work as an SEO consultant in the Philippines? What about for those who want to start their own local SEO firms? 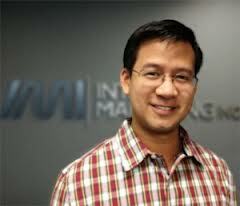 Glen Dimaandal is the Online Marketing Manager at Emerson Electric. Borrowing this term from the real estate world where you can classify regions as (1) under developed, (2) developing and (3) developed, I would say the Philippines would be developing. It is at a point where there are some good talents out there that are starting to make a name for themselves and more and more upcoming new faces that are starting to gain recognition among industry peers positioning the Philippines more prominently in the international SEO scene. It all boils down to the balance of quality of work and price. Most of which are dictated by the differences in cost of living making offshore outsourcing more economical. There are many English speakers in the Philippines and most people would be at least college level graduates. But I think no matter what other good reasons I give, there will be an equal amount of people having reasons not to outsource work to the Philippines. If you search online there are several US, UK or Australia based companies that has their fair share of bad outsourcing experiences. And what I want the world to know is that it can really happen to anyone to any country even if you do not outsource offshore. It is cheaper in the Philippines as well as in other Asian and Middle Eastern countries but if it is too cheap, you will get what you pay for. Do not expect it to be top notch quality service. Now let me answer this question again with actual real list experiences. First is we are not that aggressive in offshore outsourcing, but we do sometimes outsource some of our work in the US when the company suddenly has a surge of new clients and normally we hire people in-house in the US but since it sometimes takes time to find the right person, and work will not wait until this person comes in, we then look at offshore outsourcing opportunities. What we spend is half the minimum wage in California. So that is pretty much 50% savings per person. For sure there are people that are lower than that, but they often cause problems. Most of the people we have dealt with speaks and writes English well and some are flexible with their working hours to meet US working hours. And just like any other offshore project, it should be managed well so choose wisely when selecting your offshore team. Reports really depend on the project goal. Sometimes you are hired just to do a specific task, and sometimes you are hired to really do SEO. If hired to do SEO, you are really concerned for the success of the website. If you are hired just to do a specific task within specific parameters, then all you have to do is meet those parameters and deadlines. I talk about that more on Part 4 of this video series. Now if you were not hired to just do a specific task, SEO reports are all dependent on the client goals. Once you determine the goals, you tie it up to specific key performance indicators (KPIs) and find the appropriate tools to measure those KPIs. So every client may have a different report. But typically what would be these KPIs? For international clients, reporting is pretty much the same except that you may want to look at these same metrics considering the same target area. Most of the time we will be looking at Google but in some counties, Google is not the predominant search engine, so sometimes we may be focusing more on others like Yandex, Naver, Baidu, etc. And from the social sharing and links perspective, it would be ideal to target people to link naturally that come from the targeted local area. Normally we would look at any observable trends over time but of course many products and services can be seasonal even if the products or services do not appear to be a seasonal. So we look at the numbers more from a year over year point of view. The answer is actually simple. If a business is specifically targeting a local audience of a certain city, county, state, province, then that is when you should upsell local SEO. Examples of these would be any brick and mortar store, anything with walk-in customers, like a local grocery, professional services like doctors, dentist, lawyers, chiropractors, restaurants, etc. And those that do not need local SEO are the online stores that do not have a walk-in office or storefront. They only sell online and can ship anywhere. Location for them is not important and in fact, it is not even needed nor wanted. So for these you should not sell them local SEO since they would not benefit much from it. Proving that SEO is a good marketing investment is different from proving that you are good in SEO. If you want to show proof that SEO is a good marketing investment, you can show any proof online. There are so many research organizations, associations, companies that release public data. From Marketing Sherpa, Marketing Experiments, Online Media Marketing Association, B2B Online and more. And there are many stats out there from companies like Comscore, Hubspot, Hitwise, etc. You can use these anytime and it is totally fine to say the actual sources. It even sounds more credible since it is coming from another body that gave out the research and it is not you. So you do not appear like you are just fooling them with sales talk. Now proof from yourself is only needed if you want to prove that you have what it takes to make the SEO campaign successful. If you do not have proof to show yet it does not mean you cannot sell. Sometimes the ones that are just starting out and do not have proof of their work can start with a lower price and as you build your reputation and success that often times translate as proof that you have what it takes, then you can start increasing your price. SEO Conferences – Attending each conference and sending a whole team can be somewhat expensive at times. But after attending some, you start to get a good idea which conferences are really worth it and which ones you can skip. Then we send 1 or 2 members and in return would share to the whole team their learnings from the conference. Trainings – Enrolling some of team members to whatever online or in-person course available are often offered to the newer members who may be less experienced. Local Meetups – Networking and attending events with other SEOs always helps since there would be SEO discussions and sharing of experiences that often leads to note exchanging. This also helps you get updated and at par with the latest trends. Blogs – Reading blogs can be very beneficial too but there are so many blogs out there monitoring SEO breaking news can be overwhelming but referring to online blogs that had held authority and are very comprehensive in our niche like Search Engine Land, Search Engine Watch, Moz, Search Engine Journal, SE Roundtable. These sites would link up to smaller blogs that may have significant breaking news. Online Forums – Participating in online forum Q&A is a good learning experience where you also get to teach others that are learning. Remember to be successful in forums, if you want to learn well, you got to teach as well. In-House Weekly Trainings – Discussing and meeting once a week is very imperative task since all of the above can be very overwhelming to accomplish individually. Thus, sharing from every team member who had done any of the above transfers the knowledge faster to the whole team. Well my daughter is a 6th grader and I think she understands what I do. From a definition stand point I had always been clear to her that what I do is…..
SEO is the strategies and tactics involved to increase online conversions from organic search results. Therefore, my definition of SEO to a 5th grader should not be confused with how I will define it to a client. Because the simplified definition I give to my daughter when given to a client may cause a wrong expectations where a client would concentrate too much on ranking and would personally have his/her “golden keyword” that you should rank #1 for and if you are not #1, then you failed, even if you have increase sales and profits so much from organic search. Now, that I have defined what SEO is we now have to define what makes website rank high and many SEOs know that there is a technical, marketing and content writing sides to the whole strategy. I will concentrate on to what they could easily comprehend. And that would be writing great content that they are passionate about. When the kids have passion on a specific topic they are often very knowledgeable and enthusiastic and this would be felt by the reader. When readers find the content to be compelling, informative, useful and interesting it will surely be shared and linked to which then improved ranking and converts to increase in organic search traffic. Choose your learning sources well. Be cautious in reading some ebooks. Not all are great, some are really bad. SEO is not software, it’s not a tool, it’s not a platform. Don’t think of some automated easy-to-use tool that will solve all SEO issues. Learn by testing, but when you are successful by testing SEO on 1 site, not all sites are built the same and belong to the same industries. Some websites may be more difficult and some may be easier. Needless to say be flexible and smart to know the difference or trend flowing in. SEO is part technical knowledge, part marketing knowledge, and part content writing knowledge. Try your best to learn them all. Benj Arriola is the VP of SEO at Internet Marketing Inc.
SEO is a rapidly growing market – especially in the Philippines this year. I’m personally very interested in making a mark on the local SEO scene and I’m seeing a rise on client inquiries and request for proposals this year. I think that the increase of internet users due to accessibility from cheaper devices such as mobile and tablet, has greatly contributed the growth of demand for digital marketing in small, medium and large companies alike. Note: I published an entry about SEO in the Philippines which I’m still updating along the years. You might wanna check it out. 2) Our workforce is one of the cheapest. The thing is, SEO is a knowledge-based, professional practice. And so, even if it’s a common notion for Filipinos to be ‘cheap labor’, it isn’t always the case. I’ve always believed the phrase “If you pay peanuts, you’re gonna get monkeys.” I discovered it can work both ways – Monkeys are more than willing to be paid peanuts. And so there are stories out there that tell how Filipino SEO specialists have burned their website’s rankings. There are monkey SEO companies here and there are clients who want to pay peanuts here and abroad. So they get their deal – but they’re not happy with the outcome. What kinds of reports do you provide to your local clients in a regular basis (or international clients if you don’t have local clients)? Is there a difference in the content/output contained between local SEO reports and foreign SEO reports? Generally, there’s no difference between our reports. The reason behind that is that we have crafted the best possible report we could come up with in terms of data, analysis, design, layout, user-friendliness, etc. I believe it’s one of our strongest points to provide a really, really nice report – and that’s one of the big reasons why we’ve had our clients renew their contracts with us over and over again. So my short answer to your question is: No difference. I think that now is the right time! I’ve had local clients ever since I started SEO Hacker. And man, you wouldn’t believe the data we’ve gotten from our client’s websites. I won’t go into any specifics but the idea is, we have enough solid data to upsell ALL our local contracts. Which we have done – and pretty well I think. Of course, that is not without basis. Me and my team have learned tons since we’ve started doing SEO – and we still are learning a lot. We’ve improved our services and added more and more to our packages to justify any upselling we do. While I do believe that we are one of the first Philippine SEO services company to make our prices public, our minimum used to be just 40,000php/mo for our SEO package. We’ve shifted gear to make it 60,000php/mo. That’s a huge 20,000php difference – but our clients find themselves a happy bunch because of all the additional services we’ve put on the table for them. Simple: Show them the traffic and give them hypothetical data. You don’t go ahead and tell them you’ve made this much money with your clients – that’s supposed to be confidential. I assure you, they will listen all through out to what you have to say after. We have an internal Trello board that we use. Every one of my teammates just goes ahead and posts what they’ve read each week in that board. Me and my team have a certain quota that we imply on ourselves for learning. I personally read around 25 relevant blog entries a week for my personal growth – which I share over Trello, my Google+ profile and page, Facebook, etc. My teammates have to read around 3 relevant blogs a week – which is a lot already if you calculate how much information we’re getting on that board. We share the best of what we’re learning in that Trello board through our Growth Hacks newsletter. You can sign up – it’s free. Note: I’m assuming this is a question that implies how I make the SEO strategy simple and easy for my team. We have different teams in SEO Hacker that perform tasks in boxes. There’s a team that’s supposed to take care of all things content (and even that has a sub-team inside), there’s a team that’s supposed to take care of all things outreach, web development, graphics, etc. In each of those boxes, they have a clear strategy, goal and mission. At the start, it is explained to every new hire what their roles are going to be and how it’s going to affect the big picture. The entire SEO strategy is explained from a point of relevance – which is their box – to the big picture perspective – which is how it affects the rankings of our clients. I think that’s what makes our SEO strategy really simple for my team. Keep reading, keep learning. And make sure that you’re learning the right things from the right people. There’s a lot of cutter and noise on the internet about what works and what doesn’t – most of them are not true. You have to test it out yourself or go and take on a sure-fire SEO course from a mentor. The easiest route I can think of is to go through SEO Hacker School. We’ve got over 70 SEO lessons there in easy-to-digest Powerpoint format, tailor-made for your starting point in SEO. It’s going to be really interesting, painfully transparent and brutally honest. I’ll be telling my story starting up and what I believe should be done right, done perfectly, and done differently. 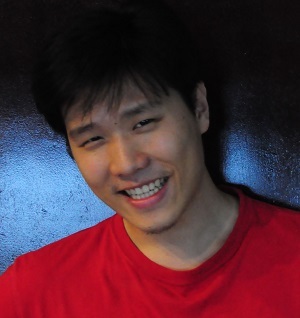 Sean Patrick Si is the Founder and Editor in Chief at SEO Hacker. SEO in the country has grown significantly over the past decade. From a small number of seo practitioners when I started and local businesses are looking down on this type of marketing back then, there’s really a huge change compared nowadays. If you will notice, small, medium and large local enterprises are now implementing this into their marketing plans – allocating budgets, acquiring talented guys, hiring seo firms or simply learning the art by themselves to grab a huge piece of the pie. Oh, and you guys should know that politicians are also using seo strategies to keep their online reputation better, you can ask Almer Viloria (our clients will have a face-off by 2016.. LOL)! This simple explain how businesses (is politics a business?) treats the importance of SEO nowadays. A big thanks to the local seo community, they have been of huge help in establishing and increasing awareness that search engine optimization is a tool crafted to help businesses. We have a huge pool of great talents here. There are the guys making their names in the international arena such as the legendary (my crush) Benj Arriola, Jon Edward Santillan, Jason Acidre and Sean Patrick Si which is a testament of how good Filipinos are in this business. There are the veterans like Ed Pudol, Gary Viray who own firms that can cater whatever size of projects these international companies are looking to outsource. Not to mention those guys who’s been silent all these years but has been raking in a lot of projects, people who are in outsourcing websites such as Freelancer, ODesk, Elance and the likes. Since not only the top fortune companies can outsource nowadays, the Philippines is a good place for small-sized businesses if they’re looking for workers with specialized seo skills but still fairly inexpensive than hiring in their own countries. Are the SEO efforts helping reach the organic search targets? What were the tasks completed within a specific period? There’s already a huge competition among us all, and the only time that you can do up selling is when your service is really worth it. Building your brand is an easy task while delivering result is the hard part, if you can prove it, there’s no contest that you can start up selling. Start showing them real life examples. I always provide proof of work and some references from previous and current clients. If you don’t have a case study to show, now is the time to create one. How can you prove that you’re worth something if your portfolio is blank? When I was starting, my portfolio was filled with my personal projects. Me and some of the guys from the org also went on providing seminars, tutorials on different schools to encourage graduating students to enter into this field – I have included this in my professional background list. I started attending SEO seminars too such as SEMCON. Simple things like this can beef up your image as someone who knows what is needed in this field. Granted that search marketing/SEO is a fast-paced industry. How do you make sure that you and your SEO team stay updated with the latest updates in the industry (e.g. Google’s search updates)? Always use your common sense. Google is a search engine, with visitors looking for information so obviously, what you need to do is to provide informative content to your website. The best thing to do here is to read, test, and implement. Network with other seo players in the country, freelancers or employed, you’ll learn a lot from these guys. Zaldy Dalisay is the owner of SEOWall. In general, SEO in the Philippines is just a bud about to bloom. More local companies are now becoming aware of its relevance to impact their brand’s presence online. As such, it presents a challenge and an opportunity for us all practitioners in educating companies on what SEO is really about as opposed to the common misconceptions about the craft/industry. The barrier to entry in the SEO industry is low back then for practitioners. This time around, it is NOT. I think there’s already a natural fall-off for those who were not able to level up their games. While we still see mediocre SEO activities, offers, and packages, it won’t be for long that businesses will get that these types of SEOs won’t hold for their investments. At Search Opt Media, we have been saving a lot of businesses from their previous SEO works taking them out from Google Penalty and algorithmic dampening issues that’s why; I said that such low-level SEO activities must be stopped and should not be practiced. Such activities are waste of resources. On the brighter side though, the world will see more and able SEOs to emerge among us and lesser of those drone-type SEOs sooner than we expected. Cost and better command of the English language are just a few of our advantages, not to mention our natural knack on creativity and strategy. However; the challenge is always about finding the right company to deal with that walks the talk. It would be best to look at their company’s portfolio, organization, skill set, professionalism, and manpower. On the other hand, one of the things to look out for is that of ridiculously low cost offer because it is a red flag. I am more than certain that the company you are dealing with is into spam automations or into low-cost labor/slavery (no pun intended). What kinds of reports do you provide to your local clients in a regular basis (or international clients if you don’t have local clients)? Is there a difference in thecontent/outputcontained betweenlocal SEO reports and foreign SEO reports? Our report for every client is bespoke. It does vary based on goals and objectives of the campaign but the fundamental/core metrics are the same. We would admit that Search Opt Media follows a lot of metrics from Avinash Kaushik. At Search Opt Media, we don’t use the word, “upsell”. Rather, we simply present more opportunities to clients that they might want to explore in conjunction with the service/s that we are presently giving them. The best time to add more value to the client is when you are able to consistently deliver the goals and objectives of the campaign (MoM) that you currently handle. After such, you can further present to the client other channels or opportunities that can further boost their revenue/goal target. How do you prove to your clients that SEO is a good marketinginvestment for their businesses? Do you show proofs? What can you advice to those Filipino SEOs who don’t have any case studies/proofs to show to their firstclients? Cases and data are our company’s best friend whenever we present to our prospective clients to prove that SEO is a viable marketing investment and to showcase that we are a legit SEO company in the Philippines. For starters, it is always best to work from ground up improving your skill set first and to gain more experience as your main objectives. Offer (almost) free help to small companies or start-ups, and newbie entrepreneurs in order to build your portfolio. Learn to network with the more experienced SEOs. Read! This will take awhile but it will be worth it in the long run. It is not only SEO that is fast-paced; it is technology in general that keeps on evolving. Constant training, updating of skill set and testing new ideas should be innate to any techpreneur. As an online marketing agency in the Philippines, we are rooted on the fundamentals of marketing principles first and the rest are secondary such as SEO. What do I mean by that? Search Opt Media is a digital marketing company that considers SEO as one of the many marketing channels to push brands online. While we do admit that we have been around for quite some time and have experienced first-hand the evolution of SEO industry and its practices, we are deeply grounded on our marketing fundamentals. It is an open secret. Fundamentals first and the rest will follow. Know your marketing 101. Checklists, cards, boards, and improved processes at Search Opt Media are our way of breaking down complex SEO strategies. I wrote about this one on my blog at garyviray.com entitled, Process-Focused SEO: An Elephant in the Room on Scalability and Strategy. Everything is properly documented being an agile (scrum) marketing practitioner. While the hype/lure of having your own free time or working from home is all over the place, I have to be upfront that not everybody is fit to be such. It is not a one size fits all kind of job. It requires a lot of BIG WORDS such as commitment, discipline, and responsibility. Examine your true mindset and be it. Others are meant to be part of the corporate setup while others are fit to be on their own. Know yourself first before even jumping into the jungle. I would like to take this opportunity too, that SEO is not a walk in the park or a shady, magical stuff or a tool-driven work. It involves a lot of thought-processes, strategies, and creative collaborations with clients in order to succeed in SEO. Do not sell your souls to clients and guarantee them impossible goals just to get their accounts else you get burned. We should detest mediocre works and outputs in order to push forward Philippines as one of main hubs of great (real-deal) SEO practitioners around the world. For those who wanted to start their own SEO firms, you have to equip yourselves not only with the know-how of the craft but also about accounting, corporate legal stuff, taxes, human psychology, and a whole lot more of being an entrepreneur. It is different ball-game when you start your own company. If you’re looking for a link building company to outsource your link building services, then you can get in touch with us today. Wow! That was a long reading and scrolling. I am thankful to those SEO Masters who have shared their knowledge and tips. I really learned a lot. Also thanks to Venchito for sharing another great interview. You’re the man. Yeah. Why Jason Acidre not included in this interview? 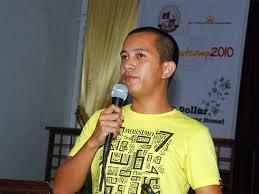 For sure he can add more insights and ideas of what is happening to SEO in the Philippines. Thanks for this interview because through this we can tell the world of what kind Philippine SEO is that we are really good in this field. Thanks. Venchito, What a great read. I love the fact that you are outing great local talent to the world. It makes it a heck of a lot easier to connect with local talent. Great creative content on your site, once again. This is great post, you have covered a lot of information here. Thank you for taking the time to share your insight here. Everyone should read this for them to know that Philippines is one of the best place to outsource their SEO work. Finally the Global SEO Industry Grows Up! Great article! I agree about the fact that the reason why international companies hire Filipino internet marketers is because we, Filipinos are good at what we do. I also agree about the qualities of filipinos that you stated above like being polite, honest and ethical in the way to conduct themselves in business environments. To sum up, everything you wrote above is true! Very informative. Thanks Venchito! Happy seeing you at GDI, but got no chance to have a picture with you. I have enjoyed reading this article of yours. Thumbs up for the SEO masters in the Philippines. I hope you did include Jason Acidre. Anyway, international companies should outsource their SEO work to Filipino internet marketers for a lot of Filipinos are skillful, polite, honest and ethical in the way they conduct themselves in business environments. I must agree that Filipinos know the value of hard work. Being a freelancer for SEO related services, I’d say the market is indeed ripe for Filipinos to be involved in this work online. At first I would like to thanks Mr Venchito, I have gone through your work and your success stories. After I found that you are one of the god in Link Building. there are so many things and many useful tips which I collect from this site. And I also like to thank every master mind of SEO world who shared their knowledge in this site. there are many unknown things which I explore from this site. I hope it will also helpful to me in future days, thanks again.